Jaky and her husband Chuk are also photographers in the wedding industry, so it was extremely humbling when she reached out to me for maternity photos! 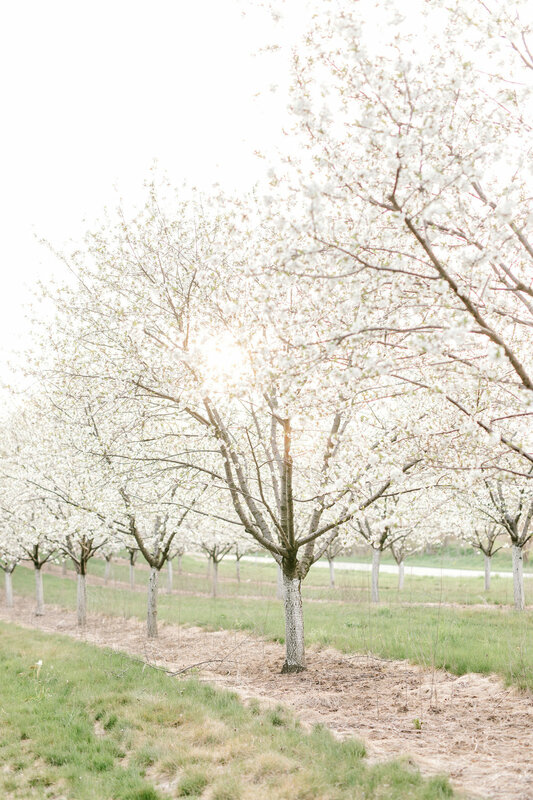 We had to do some rescheduling due to Spring rain, but it all worked out beautifully as we were able to catch the cherry blossoms in full bloom at a farm tucked away in Mattawan Michigan. Those trees sprinkled in white and that pretty evening light complimented Jaky's flowy gown just perfectly. Doesn't get more picture perfect than that! I cannot wait to hear the news of this little guys arrival! My gut instinct tells me he is going to be oooooone handsome little lad. And as far as Jaky and I...we are already scheduling play dates with our kiddos! I love meeting other creatives in the area, and Jaky and I had an instant connection! Yay for new friends! And community over competition - always! If you loved this session, you may ALSO love..